Educate yourself on the possible risk factors for a stroke. A Stroke is a disease that affects the arteries leading to and within the brain. It is the 5th cause of death and a leading cause of disability in the United States. A stroke occurs when a blood vessel that carries oxygen and nutrients to the brain is either blocked by a clot or ruptures. When that happens, part of the brain cannot get the blood and oxygen it needs, so it and brain cells die. 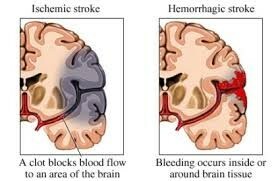 There is also a Transient Ischemic Attack (TIA) or mini-stroke. When this occurs, blood flow to part of the brain is blocked briefly and and individual will recover totally within 24 hours. Having a TIA greatly increases an individual's risk for having a stroke. Knowledge is Power and Prevention is Key! 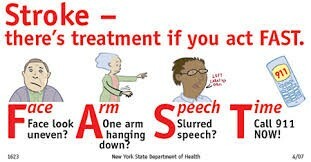 Anyone can have a stroke at any age. Your chances of having a stroke increase if you have certain risk factors. The best way to protect yourself and your loved ones from a stroke is to understand your risk and how to manage it. 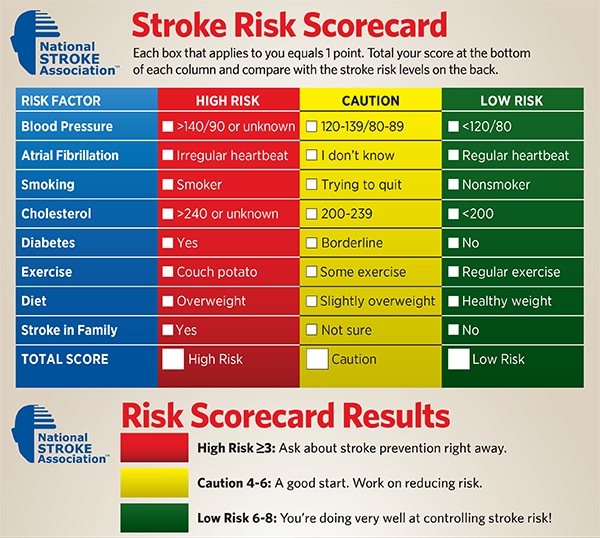 Some of the risk factors for stroke cannot be controlled, such as your age or family history. 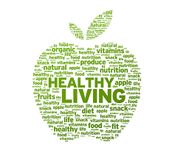 But you can take steps to lower your risk by changing the factors you can control. Risk factors that can be controlled. 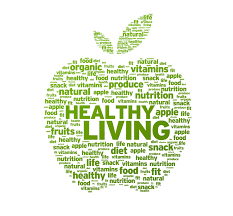 See your doctor regularly for check-ups and preventative care. Symptoms can include facial drooping, arm weakness, speech difficulties, blurred vision, confusion and severe headache. Think "F.A.S.T." to remember and recognize the most common symptoms of a stroke. Call 9-1-1 immediately if you observe any of these symptoms! Also note the time the symptoms first occurred as this information is important and can affect treatment decisions. Recognition of a stroke and calling 9-1-1 will determine how quickly someone will receive help and treatment. Getting to a hospital rapidly will more likely lead to a better recovery.